Superior quality jaw mechanism gives highly responsive control. Curved arm handgrip for ease of use at all surface levels. Length 890mm (35"). 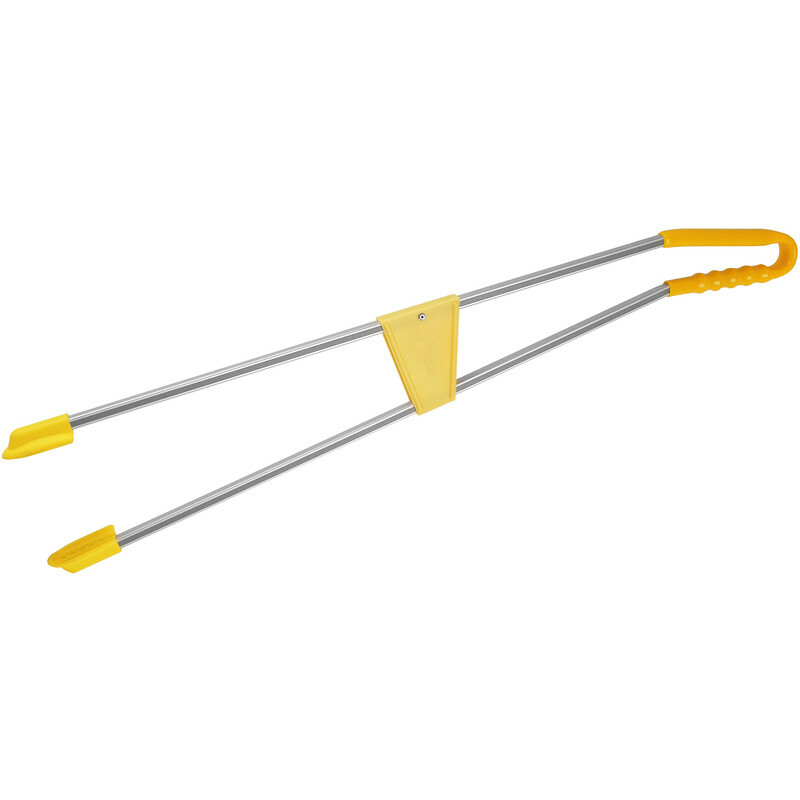 Litter Picker With Curved Handgrip is rated 4.5 out of 5 by 6. Rated 5 out of 5 by Kitchno1 from Litter Picker These are excellent gadgets and both my husband and I (who are both in our 80's) are very pleased with them. They make a big difference to our gardening. They are very well made and very sturdy. Rated 5 out of 5 by CARE13 from Worthwhile product Had mine now for a year,no issues at all Much better than the trigger type,which tend to break after a while. Rated 5 out of 5 by Jimthespanner from Light and very precise Great piece of kit, seems to pick up very small objects. Rated 3 out of 5 by BigBearGrrr from A good competitively priced product. I purchased this picker to enable me to pick up litter around the Public building that I regularly visit. So far I have not had the opportunity to use it. Hence the Three Star ratings. Rated 5 out of 5 by Yellowbelly from larger and stronger than others Brought as a long-reach grabber and it serves this purpose well. Rated 4 out of 5 by JamesQ from Easy to use and can pick up very small items Bought two of them. Appear to be strong enough. Can pick up the smallest items. A tad expensive.